My first experience with Carcassonne wasn’t the same as most. It was the early days of the Xbox 360, and Microsoft was still figuring out how to approach their online arcade feature. Carcassonne was one of the games they offered, one of the few based on a board game. I remember being a bit underwhelmed by the game. I was a teenager and if I wasn’t playing Halo, I was probably playing stupid pranks on my friends. I didn’t have the patience for a German tile-building game. There weren’t any grenades to throw. 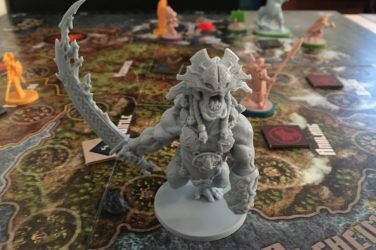 Adult me has a much different story to tell about this quintessential gateway game to the hobby. Although the game hasn’t added grenades, I find the pace and approachability of Carcassonne to be among its greatest strengths. 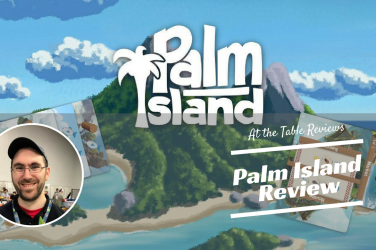 Sitting around a table of friends, drawing tiles and building the game’s map is a fun way to bring people together while encouraging some healthy competition. Supporting between two and five players, the game is played at a decently quick pace, with each turn consisting of the player drawing and placing a map tile and choosing whether or not to place one of their “followers” on that tile. A tile can feature things like a portion of a road, a field, or a city, and the tile’s edges must match up with the tiles it’s placed next to. A field must connect with another field, a road cannot dangle out in a random direction, you have to build a cohesive landscape. The game is scored at the end by counting up the way you’ve used your followers. If you’ve put followers on high-value tiles, you’re likely to end up being the winner at the end of the game, which shouldn’t take much more than 40 minutes. For the purposes of this review, I’m only writing about the base version of the game. Carcassonne has a great number of expansions, nine expansions that can be significant additions, and they add more variety and replayability to the game. If you haven’t played Carcassonne before, be sure to start with the base game. The expansions add a few layers of complexity that might muddle the experience of Carcassonne if you’re unfamiliar with the vanilla game. Learn those basic systems and figure out a few strategies, then move on to the expansions. Although the game is perhaps too new to be considered a “classic,” since its release in the year 2000 Carcassonne has been a regular in people’s game collections this long for good reason. Like Catan and Dominion, Carcassonne serves as an excellent gateway game. 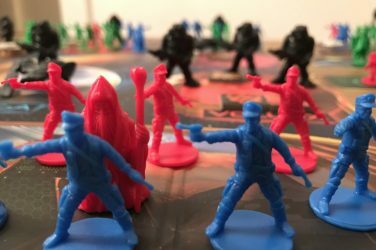 From a strategic perspective, the game isn’t so dense that it will scare away the non-gamers you’re recruiting to your game group, but it’s also not so paper thin that you feel you’ve got the game mastered after only a couple rounds. 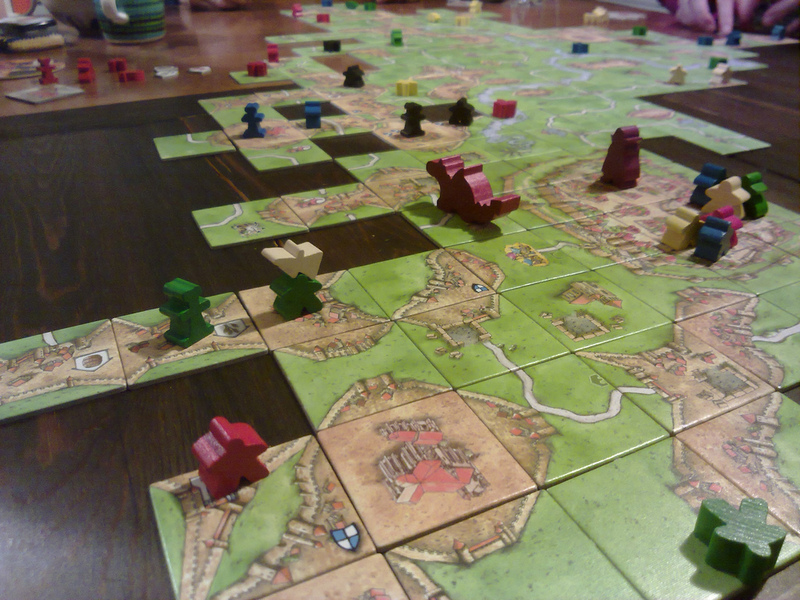 The game’s collaborative aspect also means that the competition is much friendlier than it is fierce, even if games of Carcassonne can occasionally become one-sided, with a single player being the clear winner before the game’s over. The decisions you make in Carcassonne are interesting, but not so loaded with pressure as games like 7 Wonders can sometimes feel. With the game’s board being built during each individual play through, Carcassonne is a game that can be played repeatedly without feeling like you’ve exhausted its potential. Every drawn tile can be the exact thing you need, or the exact thing your competitors were hoping for. This, combined with the fast turn order and overall progression, means that it’s easy to say “one more game” over and over again. I wouldn’t say that Carcassonne is the most exciting game out there as turns can be fast and seemingly inconsequential at times. You’re not often making a big, game-changing splash, but you’ll get the right draw and make a clever play here and there. For those that worry about the attention spans of other players, Carcassonne is a great option. 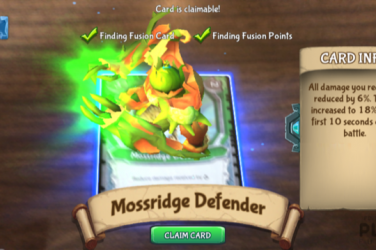 There’s always progress to track via the map’s constant changing, and there’s always a few different scenarios to be thinking about before your turn comes around. 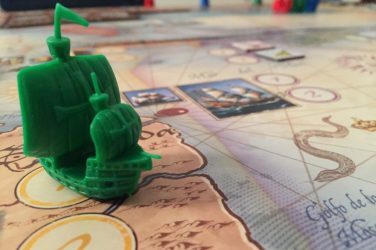 Don’t expect a raucous good-time, but it’s a fun game that isn’t difficult to explain to new players. Buy Carcassonne with confidence, but with the right expectations. 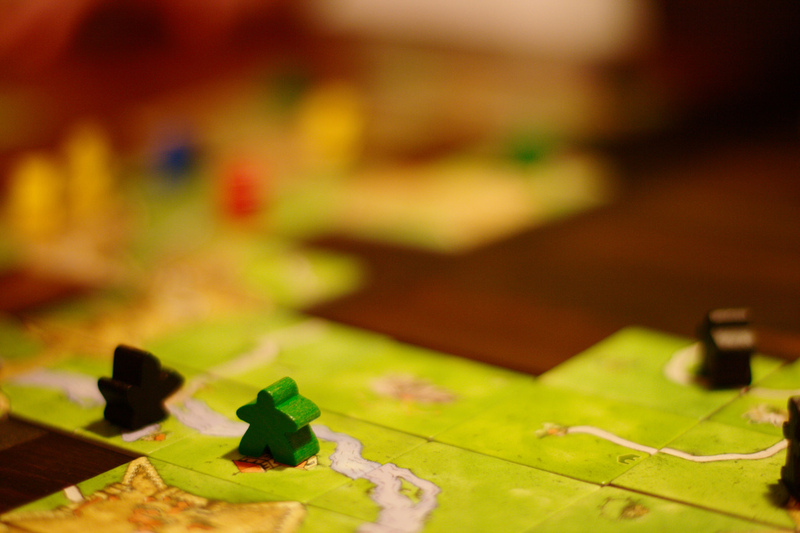 Carcassonne is the kind of game everyone should play, regardless of your taste it games. This is a modern classic with a wealth of expansions and variants to keep it fresh. 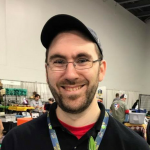 Even if it's not your cup of tea, it's a perfect resource to welcome new gamers into the hobby.